Last a couple of weeks, Windows 8 Milestone 1 Build 7850 was leak in web. 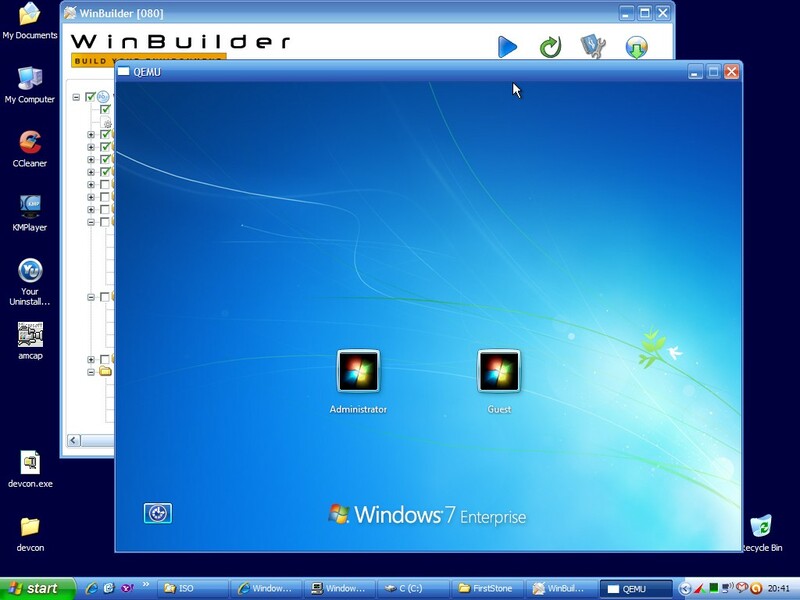 It was based on Windows 7 Enterprise edition. For early stage of it, cant change wallpaper and some limitation as debugging mode. Just tested as a trial and results as following. I reckon still need to wait for final version to complete testing. Some problems with creating 8PE, so can't upload the image yet, but soon. So? Size is bigger or smaller? Win9 = 3D Desktop? nehhhh very disappointed already. At the moment, size is almost same as Windows 7. My fully installed barebone size is 6GB. Found some bugs while exploring big folders as slower than XP. Cant create 8PE with simple WB. Mounting errors with DISM in some points. 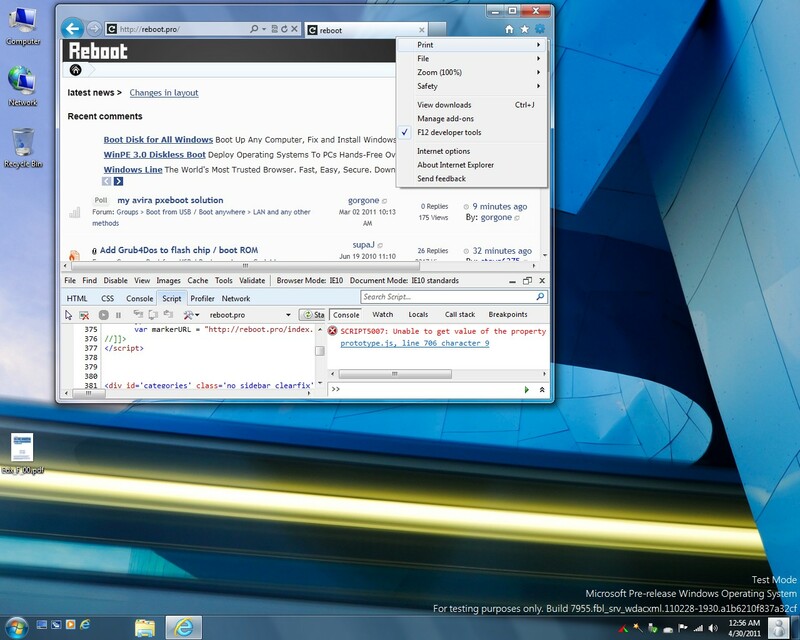 Boot.wim is stilling using Win7 Ent: file so that not compatable with any WB scripts at the moment. Not sure clashed with unsame versions files. It is very early stage so as I mensioned, keep waiting to final. It is interesting to see that the new bootmgr is 636 kB uncompressed. Ie there's changes done to it..
That is because it is compressed (bootmgr). While decompressed it is larger in size (bootmgr.exe). But still wondering what functionality was added since its size was increased by 24 %..
Might be it increases more limitations and security for some reasons like cracking activation and running in pe mode. Attempting several times to get a 8PE, but got a failure result as follow and whenever I selected any of account, it failed with error "The specified domain either does not exit or could not be contacted". Freezed at first reboot and then all were ok. Very fast speed compareed with XP. Based on Win7 Ultimate + Server 2008 R2. 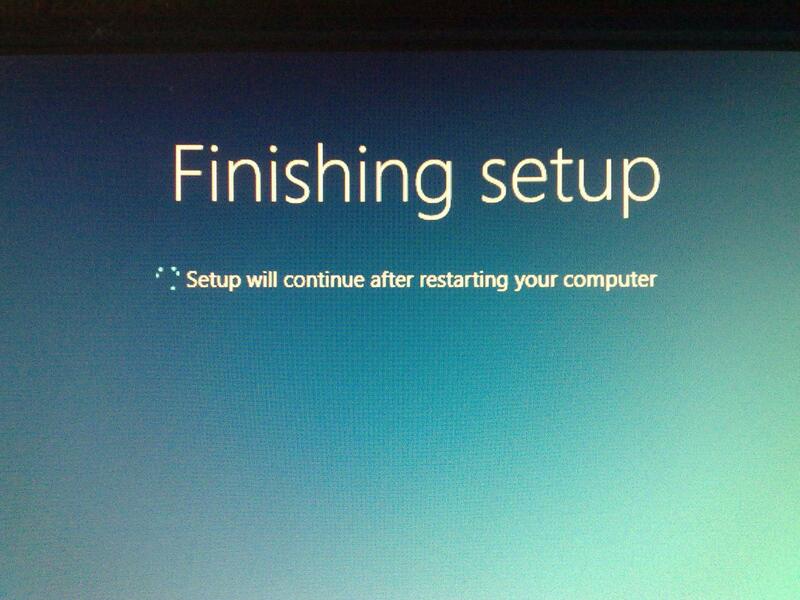 Cant boot from VHD in this version, not sure they tighten for VHD boot in W8. Any ideas of when it is going to be released officially? imho they are really stupid by closed-incubating new features instead of opening to community. another sh!t coming out from m$. For what I was expecting to see of Windows 8, this is a bit disappointing, I was thinking into something more 'spectacular' and for what I see on this screenshots is more like what I see in my Windows 7 64-bit. Not much of a difference here, or n1 point me to what I don't see. Does there is any way To get it LEGALLY? Fast compared to XP? Boot or Usage? How as compared to Win 7? Quite possible that previous authors say full truth!? Thanks to all of your comments. Sorry for my late message. I don't really know exactly when it comes but surely in the first quarter of 2012. Some new features are introduced in some websites as.. I don't know how to hack these features as I'm just tested for portable W8. Boot time will be very fast if you'll use Hybrid Boot feature. 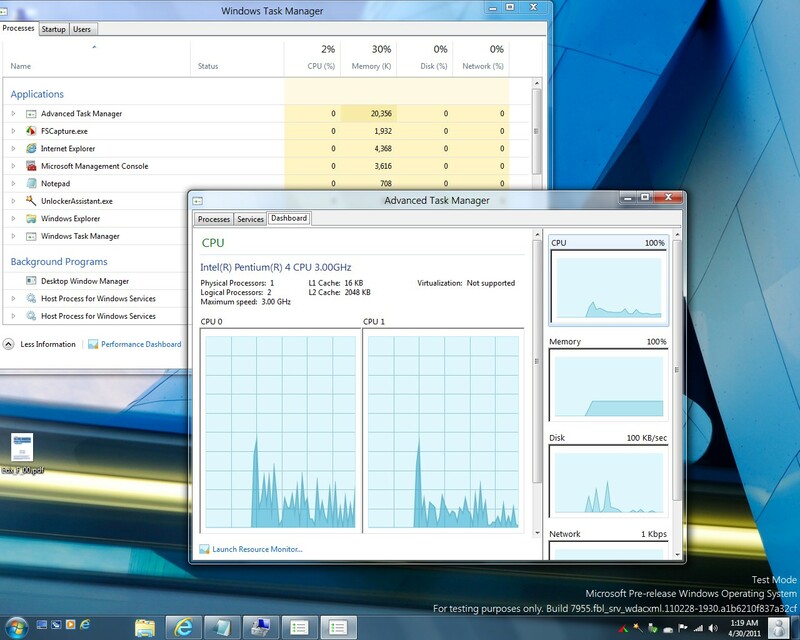 Usage or access data rate is very fast, more than Win 7. If you see the first screenshot, you'll understand about it. As a beta, MS did not include many features, I think. And I found some errors when I change my keyboard setting that I can't change it. Fira disk can't be installed in this version, at least for me. Very annoying is that, can't delete Application hidden folder in Program Files, I think something related with error reports to MS sites or Help. I'm sure W8 will grow up including cloud + W7 mobile features(touch screen) this time. on the old body. L.A.G. Oh no.. the magic ribbon has jumped to explorer..
Abot IE9 and the "stoopid" ribon, as long as it doesn't "infect" Opera, I'm fine.